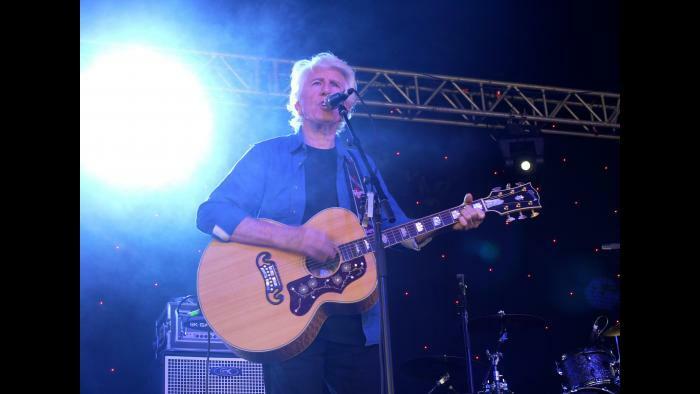 • Graham Nash turned 75 in February 2017. He was born in Blackpool, Lancashire, and grew up in Manchester, England.• In a Library of Congress interview, he said a Bill Haley and the Comets 1958 concert in Manchester “changed my life… this was the first rock ‘n’ roll show to ever come to Manchester.”• The Hollies were named after Buddy Holly. Graham Nash co-founded the band with Allan Clarke in 1962 and left in 1968.• He has twice been inducted in the Rock and Roll Hall of Fame, as a member of the Hollies and as a member of Crosby, Stills & Nash.• Crosby, Still & Nash auditioned for Apple Records in front of George Harrison. They performed their entire first album. (They were not signed.) They also auditioned for Simon & Garfunkel for Columbia Records. No deal. Eventually they were signed by Ahmet Ertegun to Atlantic Records.• “Marrakesh Express” was written for the Hollies. His bandmates rejected it, and it became the first hit for Crosby, Stills & Nash.• When Crosby, Stills, Nash & Young played on the final day of Woodstock, it was only their second gig. They were preceded on stage by Blood, Sweat & Tears and followed by the Paul Butterfield Blues Band.• The song “Teach Your Children” features Jerry Garcia on pedal steel guitar.• Nash dedicated his song “Chicago” to Mayor Richard J. Daley on the 1971 live CSN&Y album “4 Way Street.” It was recorded at the Auditorium Theatre.• Crosby, Stills, Nash & Young’s tour in 1974 is considered the first big stadium tour. Produced by Bill Graham, they performed 31 concerts at stadiums across the country. Joni Mitchell was the opening act, and tickets cost $7.50.• Nash is an accomplished photographer and an honorary scholar at the George Eastman House in Rochester, New York. In an interview with the Library of Congress, Nash said, “I’ve been a photographer longer than I was a musician.”• He was named an Officer of the Order of the British Empire in 2010.• Nash co-founded M.U.S.E. (Musicians United for Safe Energy), which staged the legendary No Nukes concert in 1979. Other founders included Jackson Browne and Bonnie Raitt.• After living in Hawaii for nearly 40 years, Nash moved to Manhattan last year.• His most recent solo record is “This Path Tonight.” It’s his first solo record in 15 years.• In 2013 he published a memoir “Wild Tales: A Rock & Roll Life.”• He performs three shows this weekend at the Old Town School of Folk Music. They are all sold out.